George Heywood Maunoir Sumner came from a family of clergymen including an archbishop of Canterbury (his great uncle), while his mother, Mary Sumner, founded the Mothers Union. He was brought up at Old Alresford, Hampshire, where his father was rector. He, however, decided to study law rather than enter the church. Sumner was called to the bar in 1879, but by this time his real interests were in the arts. He soon became a successful artist in the Arts and Crafts tradition, and was a follower of William Morris, but was also influenced by pre-Raphaelite design and later Art Nouveau. 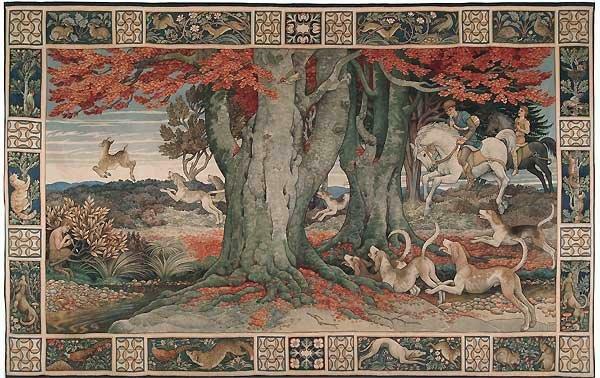 Morris and Co. commissioned a design for a tapestry depicting a medieval deer hunt incorporating scenery based on the New Forest. This is now owned by Hampshire Museums Service. Tapestry of The Chace, designed for Morris and Co. He married Agnes Benson in 1882, and for the next few years worked as a professional artist in London, producing many drawings for books and magazines, also watercolours, posters and wallpaper designs. The quality of his illustrations was appreciated by his contemporaries including Walter Crane. His most innovative work was in sgraffito art, made by scraping away the top layer of plaster to reveal a design in two colours. Surviving examples can be seen in several churches including Church Crookham in Hampshire. The decoration of the nave apse at St Agatha’s Church, Portsmouth is described in the Hampshire volume of The Buildings of England as his masterpiece and “one of Portsmouth’s few major works of art”. He also produced designs for mosaics, stained glass and furniture. 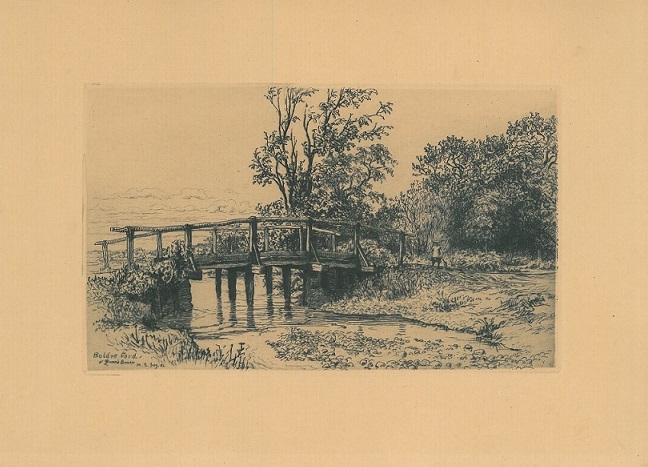 Among Sumner’s earlier works is a volume of etchings, showing views in the Itchen Valley, and a further volume about the New Forest by John Wise for which he contributed twelve etchings. We hold both volumes among the Cope Collection, along with loose plates from the volumes in the Print Collection. 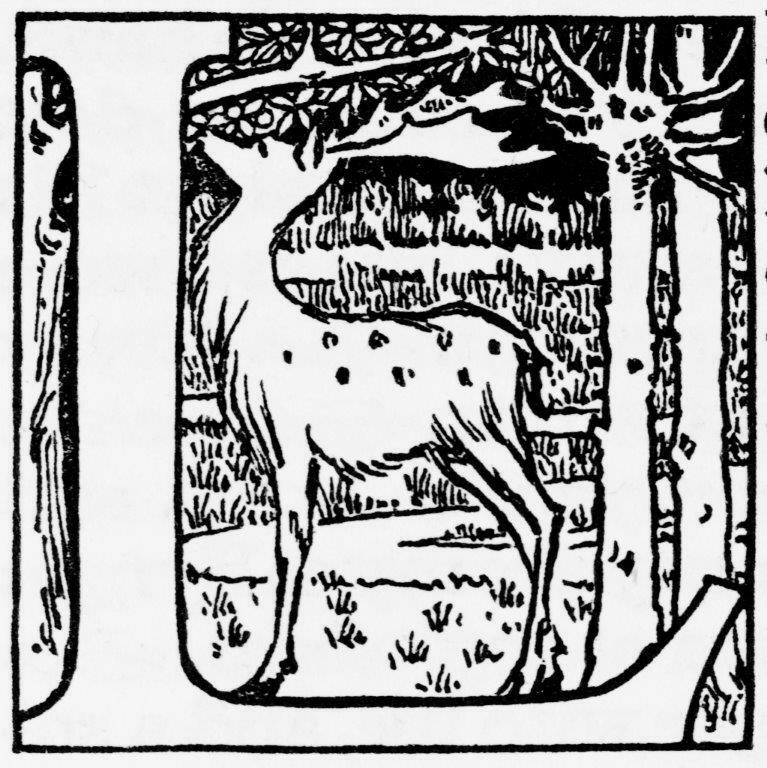 Sumner’s many interests included traditional music, and in 1888 he published The Besom Maker and other country folk songs with his own illustrations. He had collected the songs himself (mostly in Hampshire) and so was a pioneer in this field, predating Cecil Sharp by some years. He was a member of the newly formed Folk Song Society. In 1924 Sumner published The New Forest, an illustrated guidebook reprinted in 1972, which thirty years after the author’s death, the publishers considered “still the only book on the Forest which is both entertaining and a valuable source of reference”. 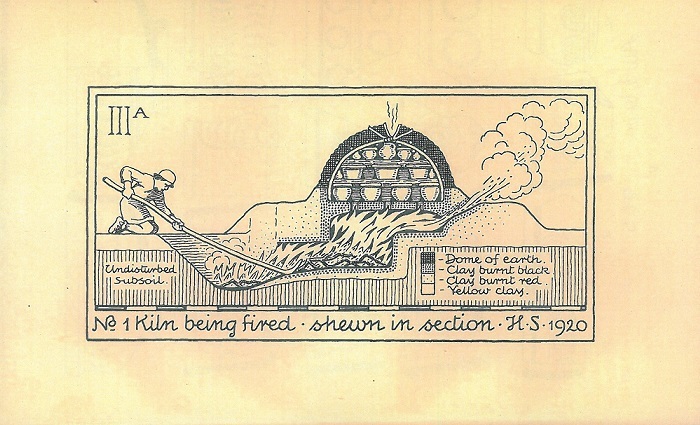 Sumner soon became deeply interested in the earthworks and Roman pottery kilns of the area. As well as making surveys, he excavated a number of sites which resulted in many drawings annotated with his characteristic handwriting. He was inspired by the example of General Pitt-Rivers’ excavations in the nineteenth century, and always recorded his findings with great care. Special Collections holds several of his archaeological publications, and his accurate illustrations of pottery types would not look out of place in a modern excavation report. At the same time, he vividly described, with an artist’s eye, the trees and wildlife which surrounded him during his excavations. He also investigated Stonehenge and the earthworks of Cranborne Chase. 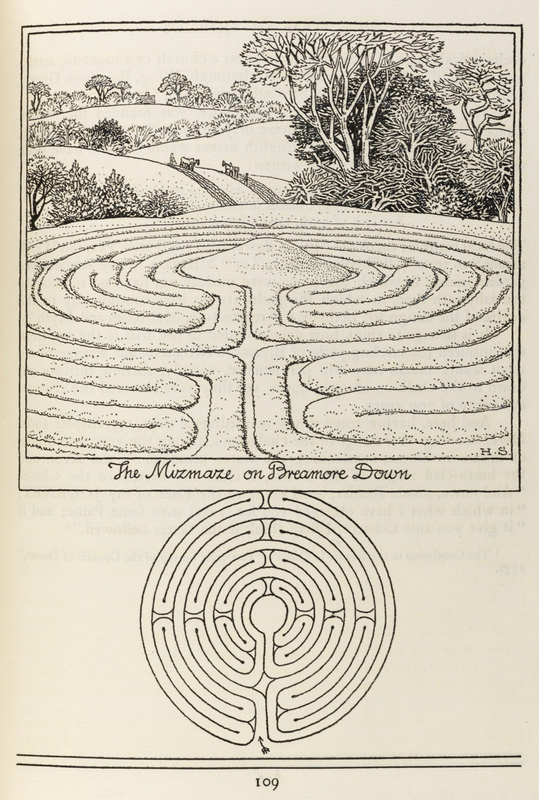 He published The Ancient Earthworks of Cranborne Chase in 1913, described by Professor Barry Cunliffe as a masterpiece: “its meticulous plans are minor works of art, while the descriptions are models of clear observation and precise recording”. By the time Sumner died in 1940, he was considered one of the leading archaeologists in the country. By then much of his art had been forgotten, or thought of as “old-fashioned”, but that is now no longer the case and he is again widely appreciated. 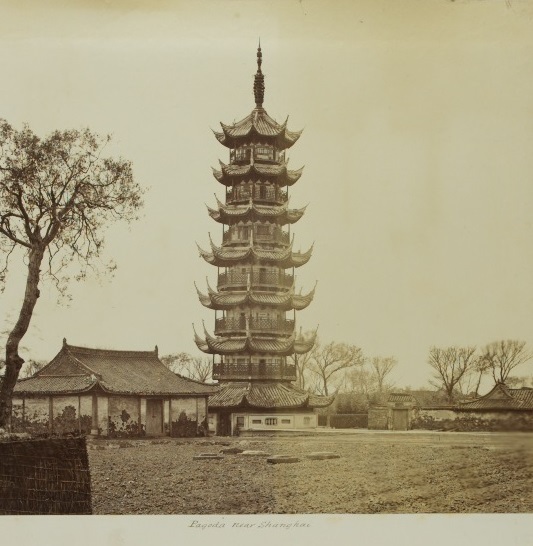 To mark Chinese New Year 2018, this blog catches a glimpse of China as seen by Prince Louis of Battenberg, on board HMS Inconstant in 1881-2. A career naval officer, Prince Louis of Battenberg (1854-1921) became a cadet in the British navy at the age of 14 years in October 1868. The following year Battenberg joined the Royal Alfred as a midshipman, achieving pr0motion to the rank of lieutenant in 1876. In August 1881, he was appointed to HMS Inconstant, the flag ship of Rear Admiral Lord Clanwilliam, and part of the “Detached Squadron”. HMS Inconstant was one of only three steam-assisted but also fully masted frigates that were built by the Royal Navy. Designed by Sir Edward Reed, who was Director of Naval Construction, in response to faster American frigates, the ship carried a crew of 600. 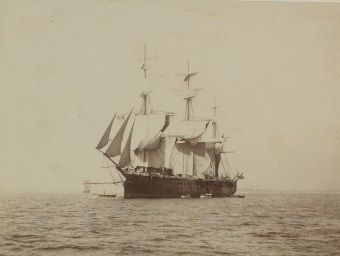 The “Detached Squadron” left Spithead in October 1880, eventually arriving at Shanghai on 23 November 1881. 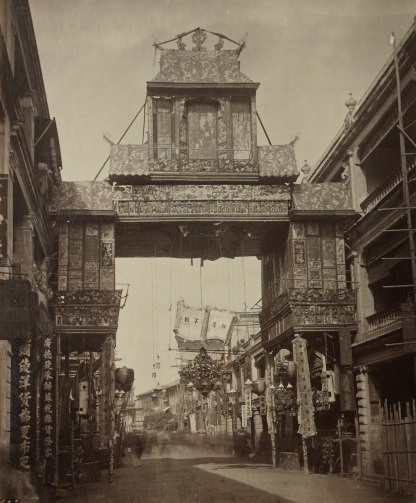 From there it called at Amoy (Xiamen) in December and remained in Hong Kong from December until February 1882, although it left before Chinese New Year. The Squadron arrived back in Spithead in October that year, almost two years to the day from its departure. Shanghai and Amoy (Xiamen) were among the treaty ports opened to foreign involvement from the 1840s onwards. Shanghai grew at a phenomenal rate in this period, changing from a village into a city which contained enclaves administered by the British, French, and Americans, each with it its particular culture, architecture, and society. Xiamen, or Amoy, as it was known in its Romanised form in the nineteenth century, being the primary international port for Fujian, became a centre of China’s tea trade, with hundreds of thousands of tons shipped yearly to Europe and the Americas. 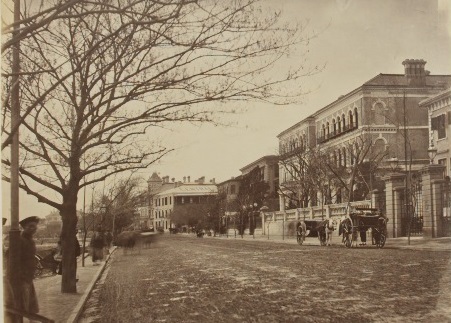 European settlement in the port was concentrated on Gulangyu Island rather than in Xiamen: here as in Shanghai these foreign enclaves had their own particular architectural style. Further information on Prince Louis of Battenberg or other material in MS 62 the Broadlands Archives can be found at the online resources. We wish you a very Happy and Prosperous Year of the Dog! Calling all colourers! This week sees the annual festival of colouring organised by the New York Academy of Medicine, when libraries, archives and other cultural institutions create downloadable colouring books based on images in their collections. Southampton has joined in this year with a colouring book of images of woodcuts found in the rare books. 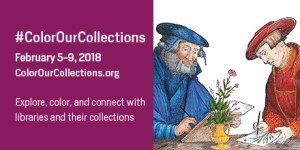 So step back from the stresses of daily life, follow your creative instincts and share the results on social media using the event hashtag #ColorOurCollections. Woodcuts lend themselves well to colouring – the bold black lines of the design make a contrast with the white background and lack the tone of later illustrative processes. To make a woodcut, the design was either drawn in reverse or traced onto the plank side of a block of wood, before the surface was removed with a knife or graver so that the lines of the design stood out in relief. This meant that both woodcuts and type could be printed at the same time which was highly advantageous for the book printers of the 15th and 16th centuries. Although a negative image could also be created, with the background printing in black and the design in white, this was less common owing to the difficulty in printing large areas of black uniformly. 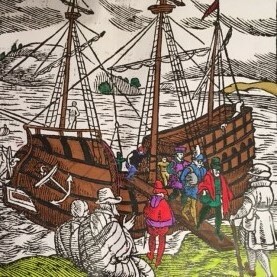 In Holinshed’s Chronicles (London, 1577) the woodcuts, such as that of the ship, above, are re-used many times throughout the text – Cordelia also appearing as the King of Scotland. By the end of the 16th century the woodcut had declined in popularity, and copper-engraving became the standard means of illustrating books. This intaglio process allowed finer detail to be shown in maps and topographical sketches, which outweighed the disadvantages, for book printers at least, that the plates could not be printed at the same time as the text and that they wore out quickly. 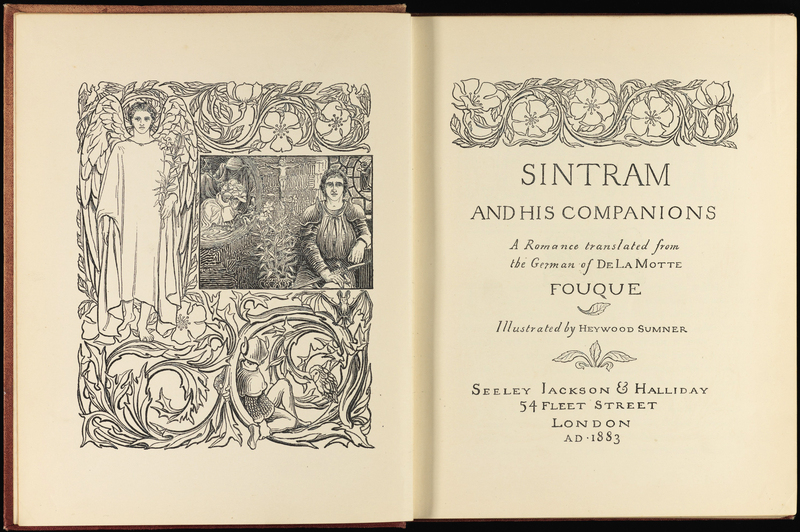 Copper-plates were themselves replaced by steel engravings as different methods of book illustration developed, but the late nineteenth century saw a revival of the woodcut as members of the Arts and Crafts Movement, returned to the materials and techniques of the early years of printing in their pursuit of the ‘book beautiful’. Charles Ashbee, who founded the Essex House Press in 1898, drew inspiration from the language, literature and illustrations found in the books of 16th century England – the Library’s copy of the 1577 edition of Holinshed’s Chronicles, having been part of his collection. For the Essex House Psalter (1902), he designed a woodcut initial, decorated with a pictorial scene for each of the psalms. To find out more about the different techniques used to create illustrations, come along to the forthcoming Special Collections Gallery exhibition on printmaking processes. Details will appear on the Special Collections website.